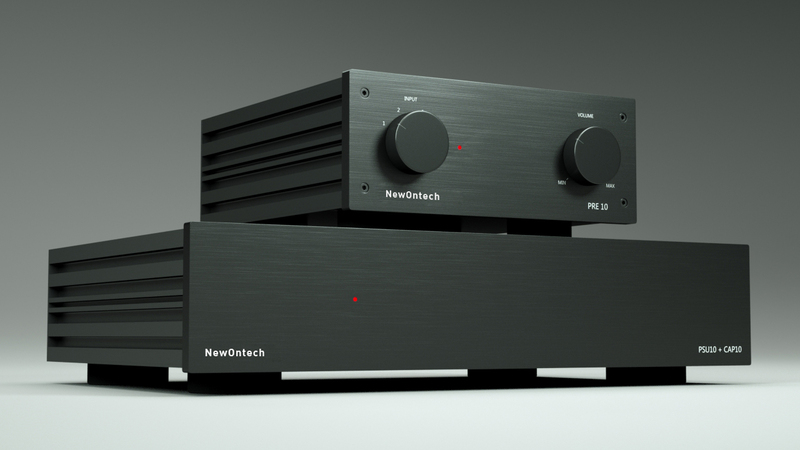 PRE 10 is a preamplifier with a PSU 11/CAP 10 box and a PRE 10 box. There’s 4 phono inputs and an amplifier output. Inside is a high-end pot-meter and a custom-made transformer. The PCB board is constructed with a cobber thickness of 70 µ (micron). PSU10 – CAP10 is a power supply and capacitor bank. This supplies the necessary clean power to the PRE 10 and the large capacitor bank within the unit expands the level of detail and musicality of the PRE 10.